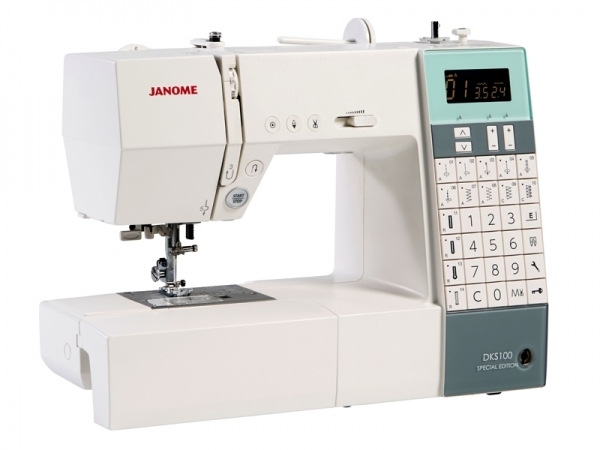 Home > Sewing Machines > Janome Sewing Machine >Janome DKS100 Special Edition Computerised Sewing Machine. Normally £529, Save £50. Includes FREE JQ6 Quilitng Kit worth £129. 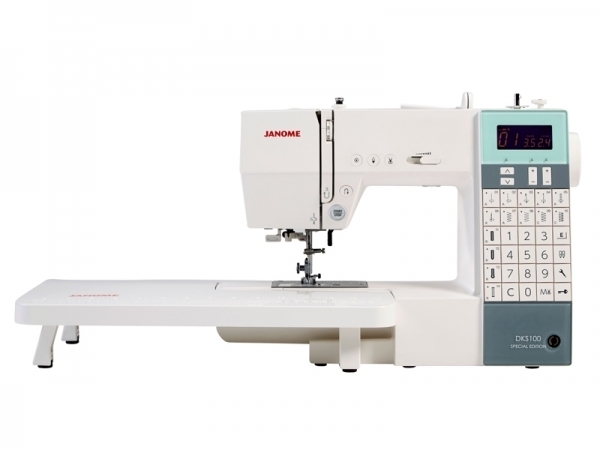 The Janome DKS100 Sewing Machine is a really easy to use, fully computerised product and yet it is packed with so many powerful features. 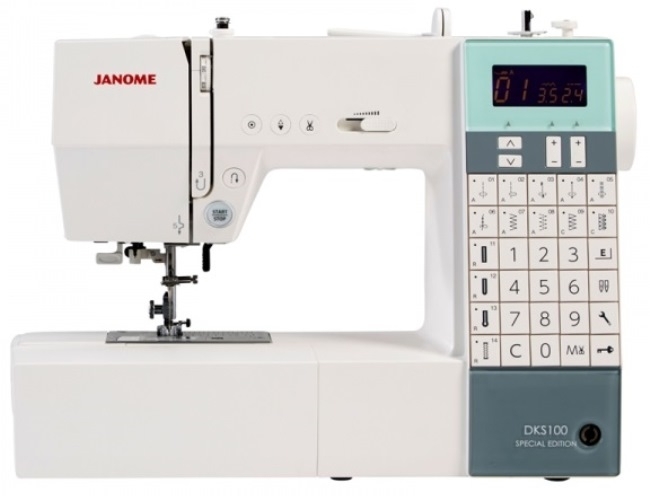 The Janome DKS100 will make sewing both simple and enjoyable with its extensive range of 100 built in stitches, which includes three one-step buttonhole options. Thanks to a special key, some stitches can even be elongated up to five times and all without losing density. 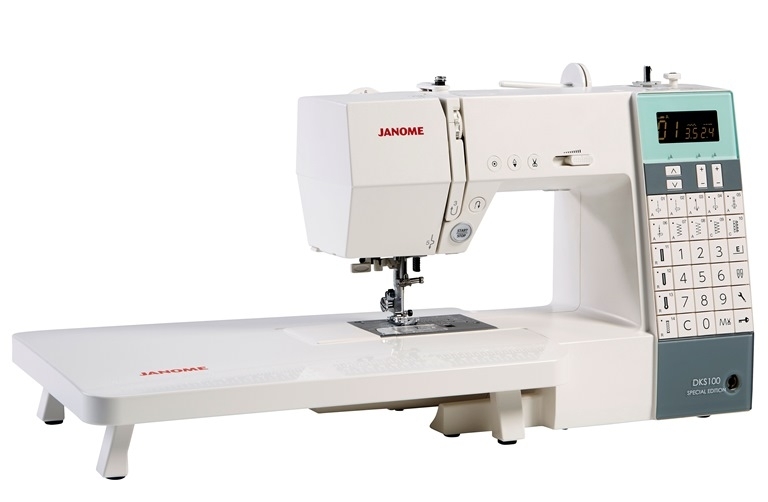 For any quilters among you, the machine boasts extra lighting for extra visiblity when sewing, plus an added knee lifter, allowing you to keep both hands on your project. With all these features, creating professional looking makes will be effortless. DKS stands for Direct Key Selection. 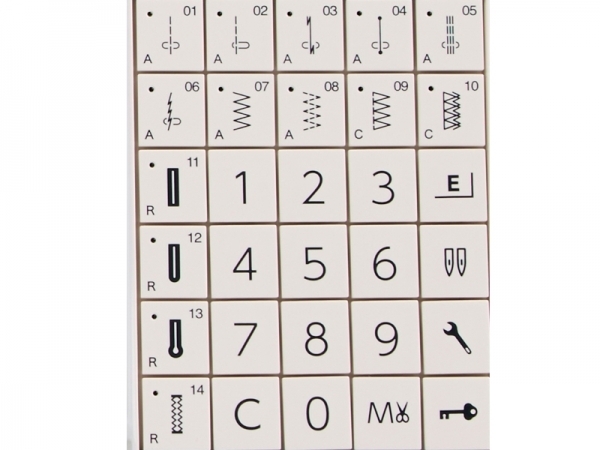 Select a stitch and the key illuminates whilst the LCD screen highlights your choice plus standard width & length settings which can be varied at the touch of a button. 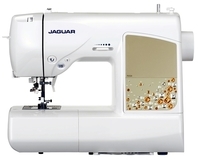 Special features include a NEW easy set bobbin system, a NEW auto bobbin winder system, an automatic needle threader, an automatic thread cutter, a needle up/down facility, and an auto-lock stitch feature for precision locking off of stitches & patterns. It even has an automatic twin needle regulator and a start/stop button so you don't have to use the foot control. 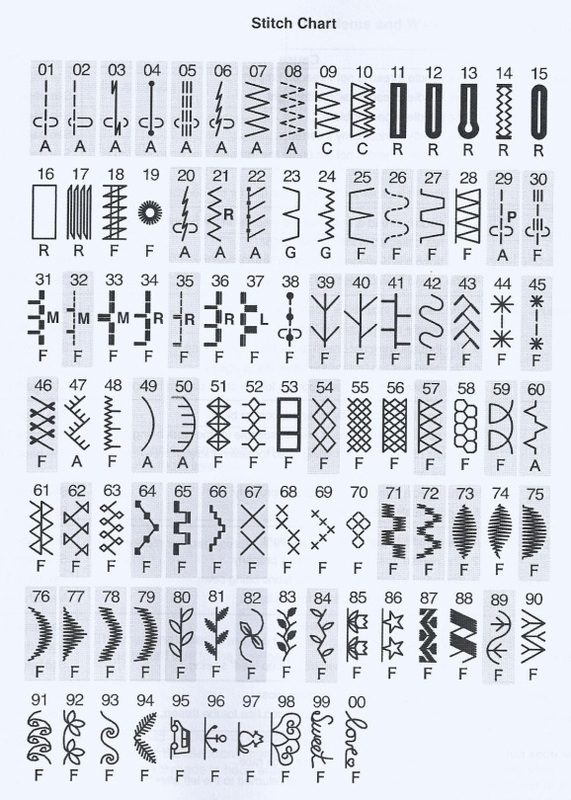 This item takes all the effort out of sewing. The automatic buttonhole feature has to be seen to be believed, press one button and the whole thing is done for you to the exact size of your button. Amazing! Despite the incredible number of features it's not difficult to use at all. My only worry (as with all computerised items) would be that if the electronics go wrong then the whole item would be stuffed but hopefully there are years of good use before that is likely to happen. Unsure of what machine to go for? Call, email or chat. We will be more than happy to assist! 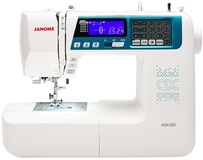 The Janome 4300QDC is a fully computerised sewing machine..